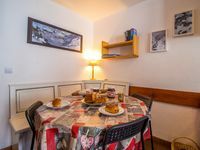 Property 17: BEAUTIFUL PLAGNE, Nice 2 rooms renovated, ski in / out / * PACK ESSENTIAL OFFERED !!! Property 20: Plagne-soleil 2050 m - Plein Sud Ski-in and Ski-out - completely renovated. Property 30: Triplex Apartment Renovated at the foot of the slopes in Plagne Villages!